Jamb 2019: Will Jamb Still Release The Results Of Those With NO RESULT YET? Will Jamb Still Release The Results Of Those With NO RESULT YET? 1 Will Jamb Release Results For Those With No Result Yet? 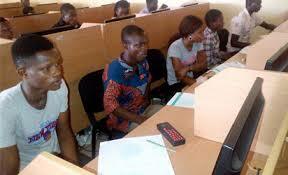 Will Jamb Release Results For Those With No Result Yet? So back to the question again, Will Jamb Release Results For Those With No Result Yet? And if yes when? Only those who where involved in malpractice should be boarded if there will be mercy from jamb. As long as you didn’t get your hands dirty during the exam period, you should worry less. Like i pointed out in the other article where i said jamb might be having technical issues and will definitely resolve it any moment from now. My observations: I have observed that withheld results are being released in batches, while more are about to be uploaded after manually verification has been concluded. Your result might be the next in line to be uploaded, so don’t give up. Conclusion: don’t lose hope, just keep the checking, and a also don’t fail to check Your mails also for important information from jamb. You can share your experience with jamb in the recently released results let others learn from your experience at least to give them hope.